The thank you star is a great idea and will earn you 25+ GG and adoration. I figure there will be some kind of send-off thread for the program ("last chance, you get forty stars!!! "), and they can do this thing they do sometimes where everyone who posts to say "Thanks Dave you roxx" gets the star assigned to them by Evil Bob or someone more evil if possible. Then it can be left purchasable after that and maybe in time I can get four sales with considerably less illicit earnings except Dave and/or Bob will tip me something probably (I know how these things work you see). The quarantined star should be made plum (medium deep pale off-purple) color and given to a mermaid. Did this excellent MB ever get a number? I'd like to add the badge to the contest thread. "Mutants & Masterminds: Hero High RPG fan"
I prefer "Hero High fan", since as far as I know, the D&D badges are the only ones with the RPG name in the setting badges, but it's up to you. So I was thinking - I'd like to kick off an initiative to get more RPG microbadges created. I was thinking of having an RPGGeek-specific microbadge request geeklist created. I intend to focus much of my time on creating RPG badges from here on but I thought it might work better with interaction from the RPG community rather than just me pulling random art from trade publications always. As an incentive to participate I thought I'd set up a one-time contest for the best RPG microbadge designed during a certain time period. I know Dave was against having a "RPG microbadge of the year" type thing, but this would be a one-off event. Would you be ok with that, Jonna? Can we get this submitted, Kaffe? Assuming it is good to go of course? I want. Excellent! I'm all for this! We just need to try and advertize that list enough to draw people's attention. Lemme give this some thought, as I might be interested in maybe making it more than only one-time deal, to draw more designer in RPG microbadging. I like both of these, but this one "feels" more like the source. But maybe you want to poll these two, to see what those that don't usually make posts about microbadges, think? I'm not sure domain-specific MotY contests are the way to go. That's not what I'm looking for, don't worry. I merely want to drive more eyeballs to this thread and hopefully spark some more interest in creating for this domain which has always been an afterthought or intimidating to most microbadge designers. 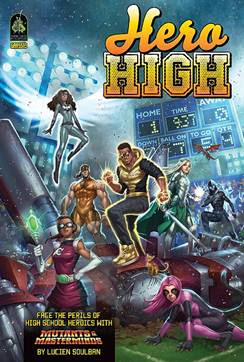 Submit "Hero High fan" ? Submit "Cthulhu Confidential RPG fan" ? 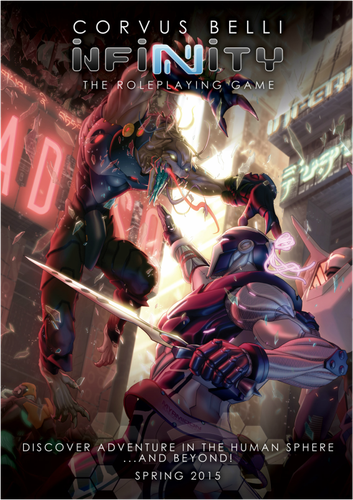 Submit "Infinity RPG fan" ? We totally need more Role-Playing Related, Character Types badges. And the Role-Playing Related, Artists and Designers needs more female representation. I'm intrigued by adding more female artists and designer fan badges! When/if we get a badge initiative going you'll have to give us a list to work from! I'd say things on the RPGG side have in general been slowing down for a year now. Not sure why.